Comments: Deciduous broadleaf native to Mississippi and Ohio River Valleys. Large sweetheart shaped yellow-green leaves. 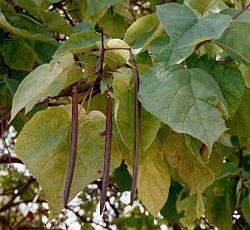 White bell shaped flowers in early summer and long string-bean shaped seed pods in late summer and fall. 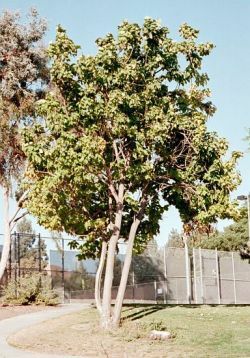 Specimen tree is 30' tall but trees in native environment can be 75' or more.